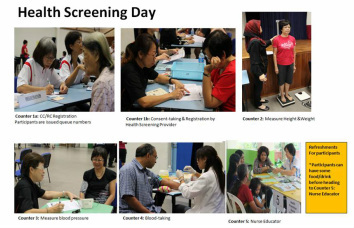 Siglap IRCC will partner with SCEC and GRLs of SERC to outreach senior residents of Siglap East RC. The residents will have breakfast with the Adviser. Siglap residents will be taken to visit Sree Ramar temple at Chnagi Village. One of the greatest epics to be told in Indian historyThe story of Ramar is one of the greatest epics to be told in Indian history. Centuries ago, in the great city of Ayodhya, lived King Dasaratha. He reigned over a prosperous city for many years and decided one day to retire. To take over the throne as king, he decided Ramar, his eldest son, would be the most suitable candidate. But Ramar’s stepmother, Kaikeyi, wanted to see her son, Bharata, become king. She reminded the King Dasaratha of a promise he made her, many years ago - that he will grant her any two wishes. She then demanded that Ramar be banished from the kingdom for 14 years and that Bharata be crowned king. King Dasaratha reluctantly agreed to her two wishes. Ramar accepted his father’s decision, without question. When his wife Seeta heard of it, she pleaded to join Ramar in his exile. As did his brother Lakshmana. And so Ramar, Sita and Lakshmana went off to the forest. When Bharata learned what his mother had done to Ramar, he went searching for him in the forest. He pleaded with Ramar to come back to Ayodhya and rule the Kingdom as he rightfully should. Ramar refused to go against his father’s command and asked Bharata to take over the Kingdom. Bharata then told Ramar that he will only rule the kingdom until Ramar comes back from exile. Bharata then asked for his brother’s sandals and told him that the sandals will be placed on the throne as symbols of Ramar’s authority until he comes back. Much later during his exile, Ramar meets the demoness Surpanakha, who falls in love with him. But Ramar rejects her advances. Hurt and angry she runs to her brother Ravana, King of Lanka. To avenge his sister, he decides to capture Seeta. With the aid of a powerful magician, Ravana, kidnaps Seeta and brings her to his kingdom. Ramar and Lakshmana seek the help of Hanuman, to rescue Seeta from the clutches of Ravana. With Hanuman and his army of monkeys, Ramar and Lakshmana attack Ravana’s kingdom with great ferocity. After a long battle, Ramar kills Ravana. At the end of the battle, Ramar’s 14-year exile came to an end. Ramar returned to Ayodhya triumphant and ascends the throne. His rule brings great prosperity and happiness to the people of Ayodhya.